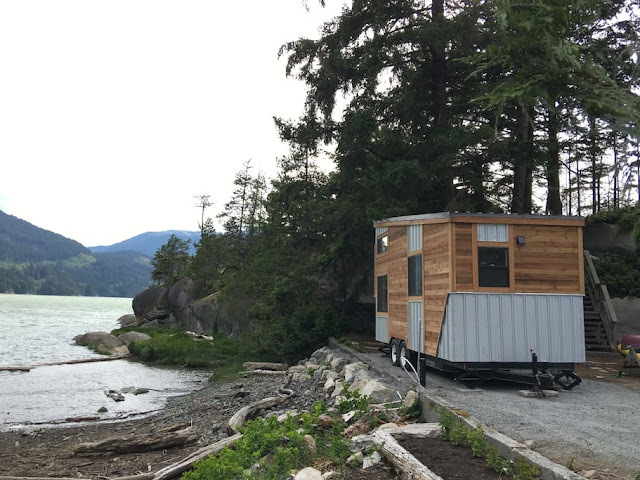 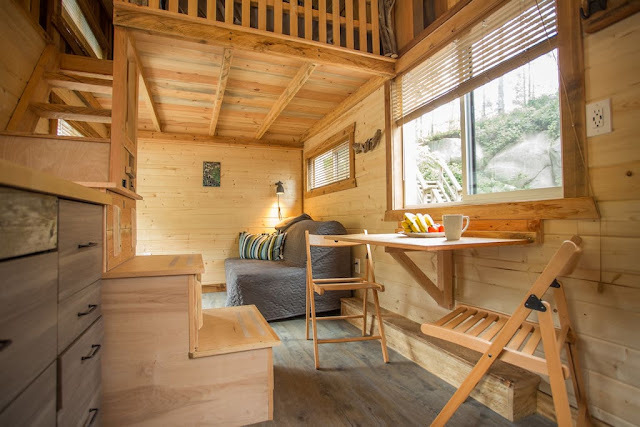 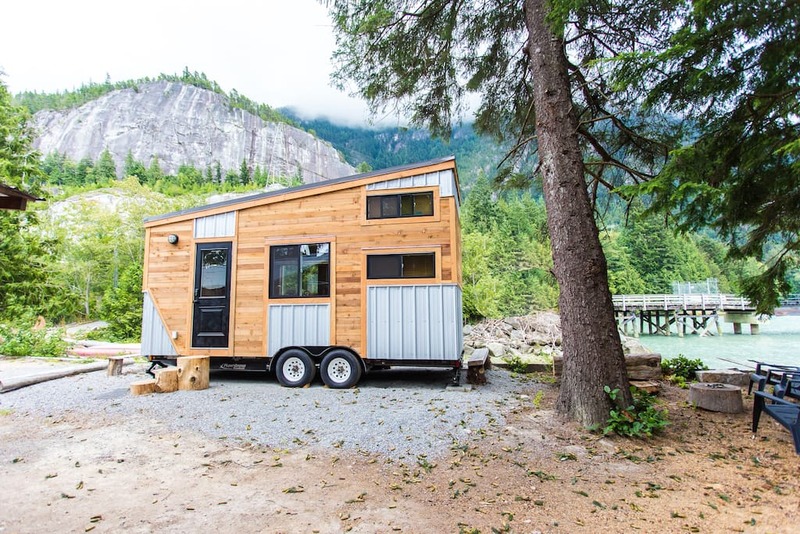 A stunning modern tiny house, available for rent on Airbnb in Squamish, British Columbia! Named the "Cowboy", the home was originally built by Hummingbird Micro Homes. The home is parked on its own private beach and within walking distance to local attractions. 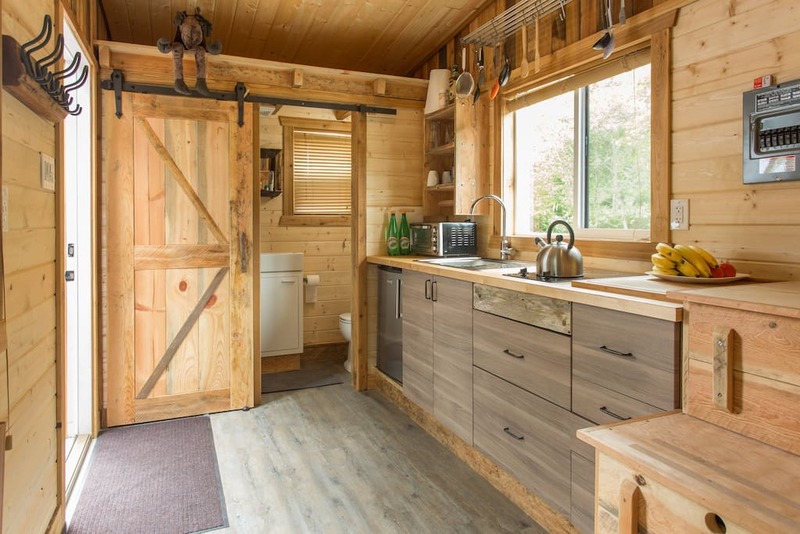 Inside is a kitchen, a foldable table for work and/or dining, a bathroom, and a loft bedroom with a queen-sized bed. 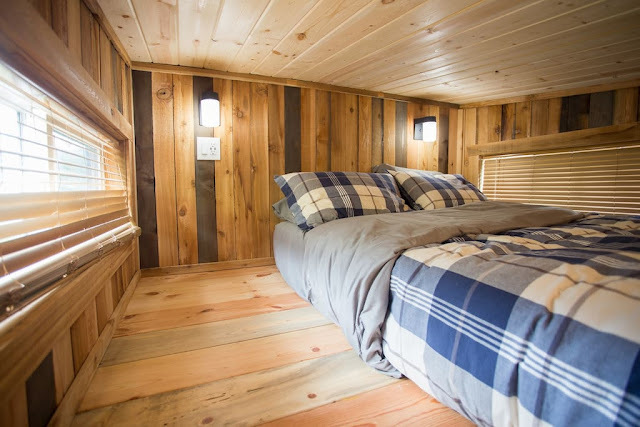 The home is currently available for bookings for $74 a night on Airbnb here!